Please forgive Grace for panel three. Her brain heard what might have been a suggestion of Sarah not being lovely, and she acted on reflex. 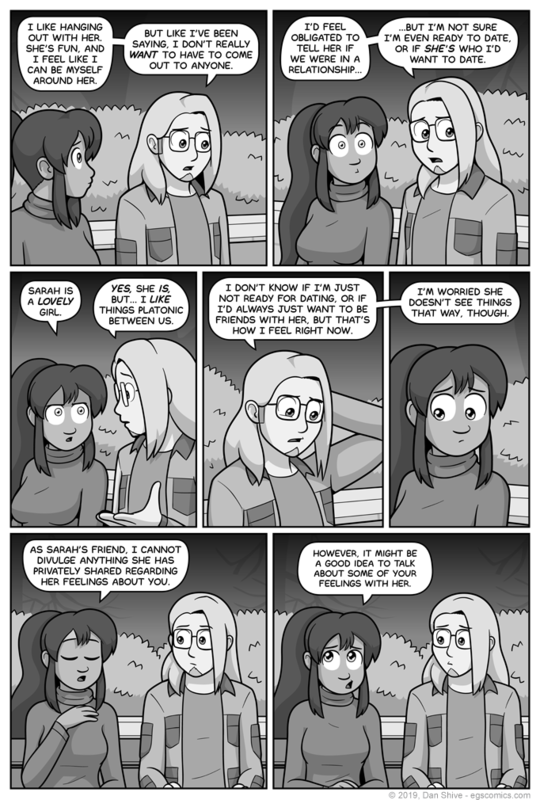 Also, please allow me to clarify that Grace is not suggesting Sam out himself in the last panel. I don't know if anyone would assume that based on "talk about some of your feelings", but I don't feel like taking that chance right now.